Brothers Liam and Noel Gallagher’s post Oasis bands Beady Eye and Noel Gallagher’s High Flying Birds released competing albums in 2011. Now their daughter’s could quite possibly be in competition in the teen model world. Both Noel’s daughter Anais and Liam’s daughter Molly have signed on to the same modeling agency. 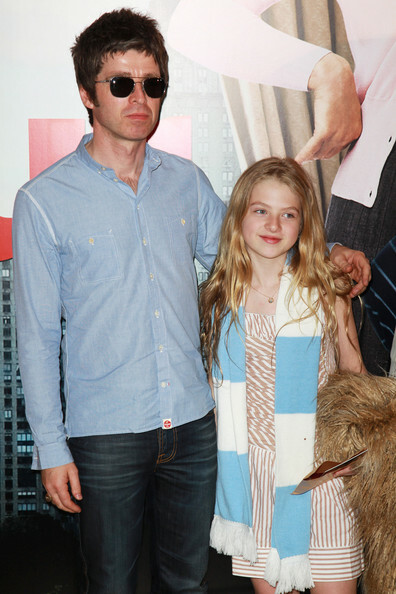 Anais Gallagher was born on January 27, 2000 to Noel and then-wife Meg Matthews. The couple divorced in 2001 and Noel is often seen with daughter Anais and is active in her upbringing. Click here to see Anais Gallagher’s Portfolio from Select Model Management. Molly Moorish was born on March 26, 1998 to Lisa Moorish while Liam was still married to his ex-wife Patsy Kensit. Gallagher is not named on the birth certificate but pays £2,000 a month in child support for Molly. 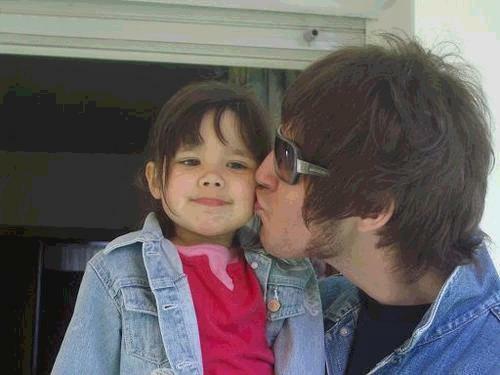 Liam does not have a relationship with his daughter and this is the only known photo of them together. Lisa Moorish also had a son with Pete Doherty in 2003. Click here to see Molly Moorish’s Portfolio with Select Model Management.